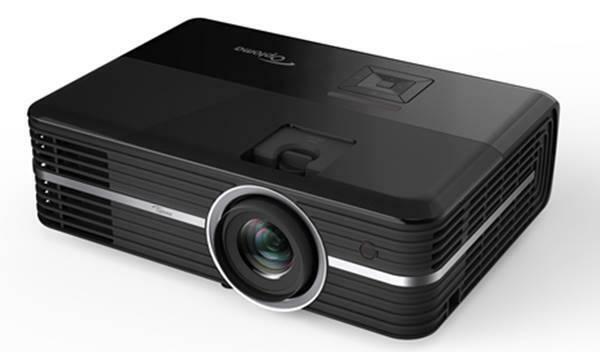 Two of the hottest 1080p home theater projectors on the market today are made by BenQ. Their entry-level W1070 sells for less than $1,000, while the W1500 has more advanced capabilities and convenience features and sells for around $1,599. The two models share some common DNA; both have accurate color and 6X-speed RGBRGB color wheels. Both are fully HD 3D compatible. Both earned high ratings here at Projector Central. So, naturally, you may want to know if the W1500 is worth the extra money. What exactly does another $600 buy you? The W1500 is the brighter of the two projectors, measuring over 1750 lumens in Cinema mode to the W1070's 1220 lumens. This extra light output is most useful when watching 3D movies, where the W1500 will be able to support larger screen sizes than the W1070. The W1500 should be capable of lighting a 100" diagonal screen in 3D, while we would not push the W1070 past about 80" diagonal. Black levels are more or less equal, with the W1070 having a slight, barely perceptible edge due to its lower light output. This edge disappears if you switch the W1500 into Eco lamp mode, reducing light output to just over 1100 lumens, the same as the W1070. Essentially, the projector with the lower light output at any given time will also have the deeper black level. Neither projector has an inherent advantage. Both projectors do a great job preserving shadow detail, as well. The projectors' handling of color is identical. Both use the same 6x-speed RGBRGB color wheel, so color light output exactly matches white light output and colors are properly saturated. Neither projector is perfect out of the box, but both the W1070 and the W1500 have full RGB Gain/Bias color controls as well as full color management systems. The W1500's preset Cinema mode has slightly more accurate white balance, but after calibration the two projectors perform equally well. If there is a sharpness difference in the two projectors, it is exceedingly subtle; we aren't seeing it in head-to-head testing. Both projectors do an excellent job rendering fine detail in high-quality HD sources. Neither projector uses a smart-sharpening system, and neither projector applies too much edge enhancement by default. While there aren't many image quality differences, there are a lot of usability differences and added features that make the W1500 easier to use and more capable than the W1070. Some, like input lag, are crucially important for certain groups; others, like zoom range, make the W1500 easier to install and mount but do not directly affect performance. 1.6:1 lens vs 1.3:1 lens. With a 1.6:1 lens, the W1500 can display a 100" diagonal image from 7' 9" to 12' 5". The W1070, with its 1.3:1 lens, can display that same 100" diagonal image from 8' 4" to 10' 11". In other words, the W1500 can display the same image both from closer to the screen and from farther away, making it a good option when the W1070's lensing does not fit your installation needs. The two projectors both have vertical lens shift with a very similar, albeit limited, movement range. Much brighter. In testing, our W1500 measured 1766 lumens in Cinema mode with the lamp at full power, while the W1070 measured 1220 lumens in the same mode. The extra 500-ish lumens amount to a 40% increase in brightness, and can be helpful when you want to watch 3D movies, allow some ambient light into the room, or use a very large screen. They also allow you to use the W1500 in its Eco lamp mode and still obtain 1112 lumens, which is roughly equal to the full-power output of the W1070 but gives the projector a much longer estimated lamp life of 6,000 hours. Frame interpolation. Frame interpolation is an image processing technology that analyzes a projector's input signal and then inserts interstitial frames to reduce judder and motion blur. The W1500 has a frame interpolation system, while the W1070 does not. At low levels, the W1500's frame interpolation system reduces judder without introducing the annoying "soap opera" effect, also called the digital video effect. WHDI. The W1500 has wireless HDMI connectivity and an included transmitter. This has obvious benefits when you want to ceiling mount your projector, because it cuts down on the number of cables you need to run. It is also helpful when you want to place your equipment stack at the front of the room and the projector somewhere else, such as on a coffee table. By reducing cabling, WHDI simplifies installation and provides a tangible benefit over the W1070's cabled solution. On the other hand, our tests show higher input lag of 118ms when using WHDI, so the technology is not useful for gamers. Onboard speakers. The W1500 has two 10W speakers. The W1070 has one 10W speaker. If you plan to use the projector without an external sound system, the W1500 produces clearer, louder sound. Input lag. Input lag is the difference between the time a source device outputs a signal and the time when the projector updates to reflect this signal. It is most important in gaming, where the delay between a button press and an on-screen reaction can be the difference between success and failure. When it comes to gaming, the W1070 is a clear winner. The W1500 measured 66ms of lag using a wired HDMI connection and a whopping 118ms of lag using WHDI, while the W1070 measured only 24ms over HDMI. Weight. The W1070, weighing in at 5.8 pounds, is easily portable and a great option if you need to bring a quality HD picture over to a friend's house. The W1500, which is physically larger and weighs 8.6 pounds, is more difficult to transport. If easy portability is a concern, the W1070 is a better option. Fan noise. Despite being brighter, the W1500 produces less audible noise at full lamp power than the W1070 does. Furthermore, since the W1500 in low lamp mode produces about as much light as the W1070 at full power, you can make the W1500 much quieter than the W1070 without compromising light output. The BenQ W1070 is an impressive projector that has garnered widespread acclaim for its combination of superb image quality and a bargain-basement price. The BenQ W1500 is a feature-rich projector that offers that same great image quality plus wireless HD transmission, frame interpolation, improved lensing, better speakers, and lower fan noise for a higher price tag. The differences between the two projectors make the W1500 and W1070 ideally suited for different applications. The W1500 will appeal to folks who want a fully-featured home theater projector at an affordable price. It offers concrete advantages over the W1070 in several applications, most significantly 3D home theater and living room use, because of its higher light output (and, in the latter case, better speakers). Those with small theater rooms will appreciate its lower fan noise as well. The W1070 is ideal for gamers due to its lower input lag, but it is a good value proposition for many other users as well. It comes down to this: if you don't need or want the bells and whistles that the W1500 includes, get the W1070 instead. It is an excellent projector that we recommend without hesitation. Is there a possibility that the input lag may be corrected by firmware at some point....or is that even possible? What is the input lag on the W1500 when frame interpolation is turned on or was it on with 66ms? Thank you for this review. Is the W7000+ still better than the W1500, or is the W1500 also replacing the W7000+? Both have a Dark Chip 3 and a 6 Speed wheel. Are you also going to do a comperison between those models as well. The W7000+ replaced the W7000,... but if it really is a replacement,I leave tyhat up to you. Has anyone used the 2D to 3D conversion? I assume you still need to use the glasses? Question, and I think this is from many other user too... having an Epson 8350 is one or both better or worse quality image... I really want to buy a new one but need to know if what I have still better or will be an improvement... thanks and great review. I know you review a ton of projectors, so I don't expect that you'll have an answer specifically relating to the PE8700, but I'll ask all the same. I have the Benq PE8700 that I bought way back in 03 (the original version before the HD2+ chip). WOW...how time flies! Will the picture quality between this 720p projector and the W1500 be very dramatic? Posted Oct 20, 2013 5:07:51 PM By dwight. Will the picture quality between this 720p projector and the W1500 be very dramatic? I will to known to. I can't thank you guys enough for the knowledge I have gained about projectors through this forum. You know when you spend $600 MORE than the inferior version and think about the 5 extra features you are getting that makes you very happy. However, when you find out that there is one, JUST one feature that is still better in the cheaper version, you are more disappointed than happy. I am referring to the lag time for gamers. I don't understand how they can design a projector that costs over 50% more and yet be inferior in any feature at all. Now I am thinking hard if it is worth it for me to compromise the lag to get the other features. I am going to take my chances in Battlefield 3 & 4 and see how much of a difference it really is for losing 0.1 seconds. If I find that I am dying more often in the next 90 days then I will buy some other projector. If I don't see a decrease in my score I will keep the BenQ W1500. Well, I couldn't wait around for a reply to our questions, so I ordered the W1500 for $1,500 including two pair of glasses, which for Canada I thought was a pretty good deal. They have a great return policy so if it isn't any better then back it goes. What'll be interesting is to see how it fairs against my Benq PE8700 which is only 720p(with the original Mustang HD chip - shortly after my theatre was completed a new and improved chip came out in the same model). Back in '03 or so I paid a lot more than what I did for the new one, but kind of par for the course with TVs and projectors! I have a Chief mount in my ceiling which I'm not about to change, but they don't have a mounting plate for the W1500 to mate to their RPA, so I took down my old Benq to pattern one. First thing I can tell you is that there is quite a weight difference between the PE8700 and the W1500! I hope that isn't a bad sign of the quality of the new unit. When I get my plate made I'll get it up and test it out. I'm not a gamer so the lag issues really are a non issue for me, so based on the reviews I THINK I should be pleased...but time will tell. Thank you soooooooooo much for doing this comparison. I was really curious how they compared. Thanks again! All I can say is Holy Crap! A difference compared to my once $5000 Benq 8700? Well this $1,500 Costco special (with glasses) kicks my 8700s [censored]! I haven't tried 3D yet. Very pleased! Bill, there seems to be some discrepancy with the lumen output you posted for the W1070. Other professional reviewers have measured it at over 1700 lumens in Cinema mode, > 1100 in Eco, and > 1300 with Normal lamp and Brilliant Color off. Did you happen to accidentally change some settings before measuring the W1070? I got the Benq W1500 from Costco for $1500. Since this is the first projector I ever bought I have some basic questions. 1. How hot can the projector get? I placed my hand infront of the heat vent at the front of the project and the air coming out was so hot that I can't leave my hand there for more than 30 seconds. Is this normal? 2. Damn dust particles inside the screen. As I was very excited and opened the case and turned it on I noticed a small smudge on the outside of the lens which I quickly wiped with a microfiber cloth. It looks like there are no marks on the screen now. When I turn on the projector there are some very small dust particles which I figured were on the inside of the lens/glass. These don't affect the video quality much but when I had all the lights off and saw a completely dark video for 10 seconds i noticed a fuzz ball on the screen. This is probably caused by the dust particles inside the lens. I wonder if I can clean the inside of the lens somehow. 3. 3D Brightness ... How do you make it as bright as you want for 3D without losing video quality. Do you just increase the brightness, contrast and all fully for 3D to get the best experience out of it. "Both use the same 6x-speed RGBRGB color wheel, so color light output exactly matches white light output and colors are properly saturated." Is that something you measured? The reason I ask is that DLP projectors without white segments can still use spoke time to add extra white to the images. Thx. I don't understand the comment "won't push the W1070 past 80 inches". There are very few people who project only 80" (In my opinion, no stats to back it up), but there are stats on FTL and I'm positive the W1070 can be used in much larger screen sizes than 80" using that math. The W1300 is 1230$ and the W1500 is 2300$. I have managed to find some W1500 with kingpin screens (103") for 2300$ too, yet the screen at 103" is useless for my applications, due to the W1500 gives too large image from a far distance. I have a BENQ W1070 and it gets SOOOO hot with the projector only being on for 20 minutes. Just as Dwight mentioned, you can put your hand on it. Anyone else experience this? Is that OK for the projector. Do I need to worry about the lamp life or life of the projector? Is there a setting that can help with this? Thanks for your help. When using the wireless dongle can I only get sound thru the projectors internal speakers? I have tried connecting to my tuner and it's not working.